European private law is not only private law governed by sources of European secondary law. It also describes the application of primary European law (including the Area of Freedom, Security and Justice) to private law relationships. This « other » European private law has henceforth its reference book: the casebook of the famous collection « Ius Commune », directed by professors A. Hartkamp, ​​C. 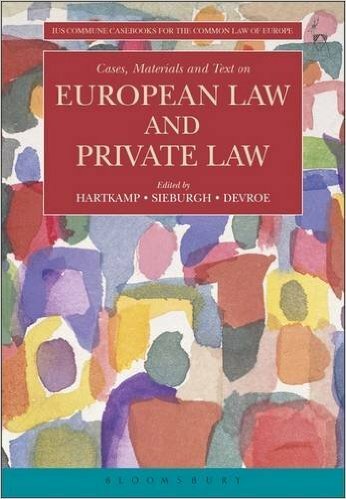 Sieburgh, and W. Devroe, published under the title « European Law and Private Law » (Hart, March 2017).